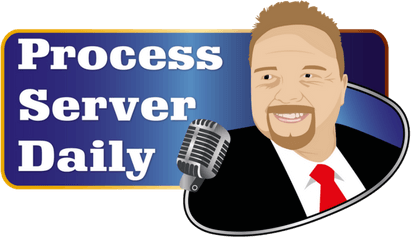 Process Server Daily's podcast shares stories and experiences of process servers to educate and entertain fellow legal support service professionals. Give it a listen to learn something new about our industry! Michael Reid is the owner of Process Server Daily, providing process service and legal support services for California. His vast legal experience allows him to create media to educate fellow process servers through books and podcasts. Cyber Investigation Expert Joseph Jones tells us how he leveraged social media to grow his investigative skills and business. Armed to the teeth riding a four-wheeler and getting it served with some help from the local wildlife, Alaska Luke tells his story. Gary gives us his genius perspective for building a nationwide business based on customer service and networking. Steve drops some major value to our listeners... From his beginning to his life-changing experience meeting the great Tony Robbins. Dave the "Rockstar" Luce tells us the greatest story of all time! From strip clubs to rockstars he has served them all. Chris tells us some of the ups and downs of process serving and gives us a deeper understanding of how we should treat the people we are serving with respect. Ken uses his gift of gab to get information and protect himself while in the field. We discuss in detail some of the best tools to use while in the field and why you should use them. Davy recounts his experience with the long arm of the law while serving papers. He has some great tips for growing your business and faith. Brand new but far from wet behind the ears, Jay tells us about a woman that leaves her baby in a lawn chair to evade him as he springs from behind a bush! Jeff and I discuss the feeling you get when you see your skip out in public and you don't have the documents to serve them... What do you do? Stephen got his start serving papers and has since built multiple legal service locations. He owns his own company and has offered to help new servers out there get started. Veteran and Private Investigator, Amanda Curran tells us how she used Uber to bootstrap her family run business. Michelle is a grandma, pet lover, and a 4'11" Latina woman. But don't let her sweet nature fool you. She tells us about her story and how she has found her calling by making the impossible, possible. NAPPS President and 2nd generation Process Server Mike drops some major value bombs! Process Server Safety and Online Marketing this episode is pure gold! Mighty Mike tells his story of starting out as a process server and describes the format of the show and what to expect.